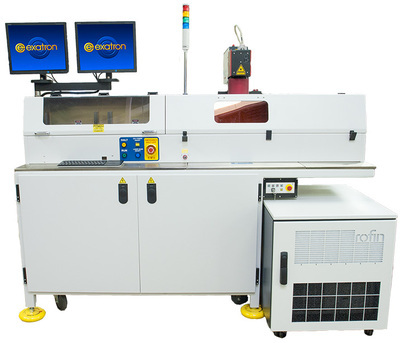 F&K Delvotec manufactures wire and laser bonding​ systems used in a wide variety of applications ranging from microchip interconnect, to Li-Ion battery cell modules for EV’s, to solar concentrator arrays. Aluminum, Copper or Gold, wire sizes range. 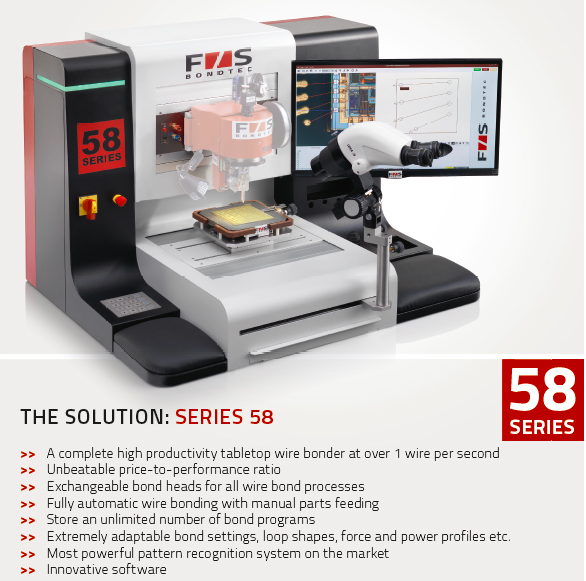 ​Wire Bonder F & K Model 2017 S – the first and only fully automatic all-in-one bonder in the world. 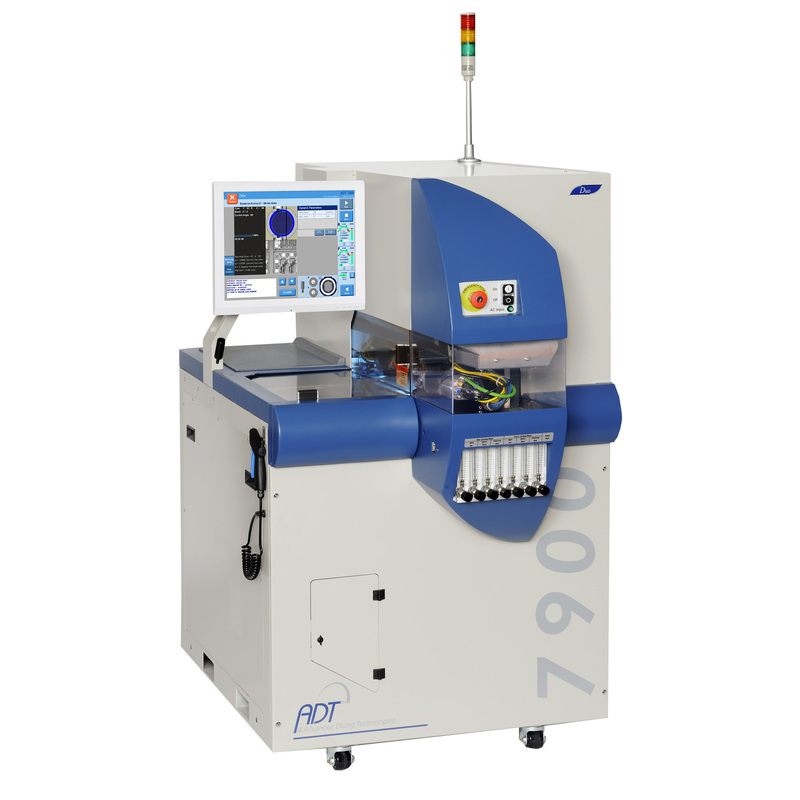 The compact, space saving Wire Bonder F & K Model 2017 S is a veritable multi-talent. It can be converted to any current Wire Bond process in a very short time. For the highest productivity and the lowest operating costs the applications experts at F&K Delvotec determine the degree of automation for the customer product: Smartomation as guarantee for low Total Cost of Ownership. ​With the world premier of their Ultrasonic-laser bonder in 2015, F & K DELVOTEC GmbH underlined once again the validity of its motto: Staying ahead in Bonding Technology. 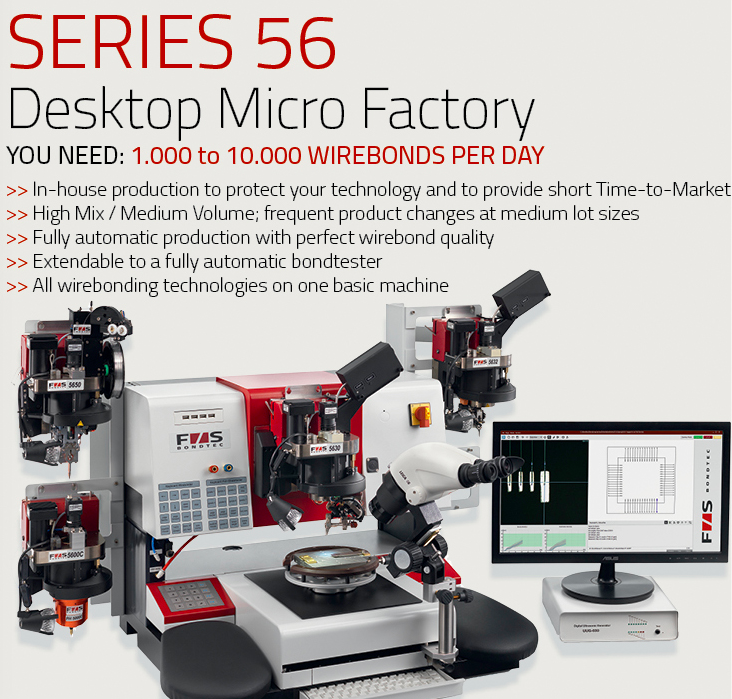 The Desktop Micro Factory, the series 56XX, is completely without competition on the world market. 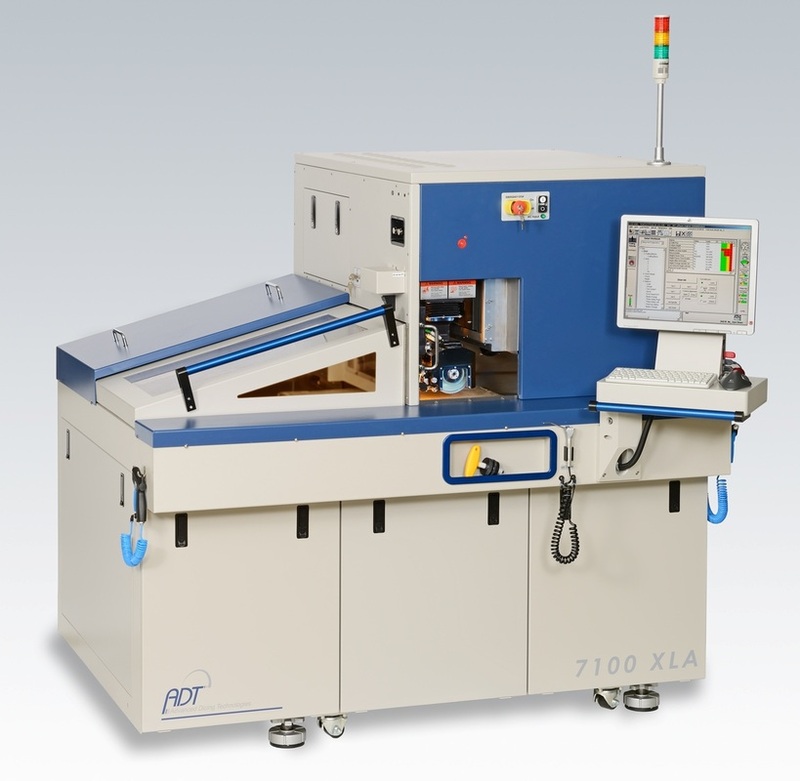 No other supplier even comes close to offering the features of this bonder: all wire bond processes on a single machine thanks to exchangeable bond heads; convertibility to pull and shear testers; programmable for fully automatic operation and optional pattern recognition unit. Advanced Dicing Technologies (ADT) is specialized in the development and manufacturing of saws, blades and processes used in the dicing of ICs, package Singulation, Glass, Ceramic, Quartz, PZT and other Microelectric Components. 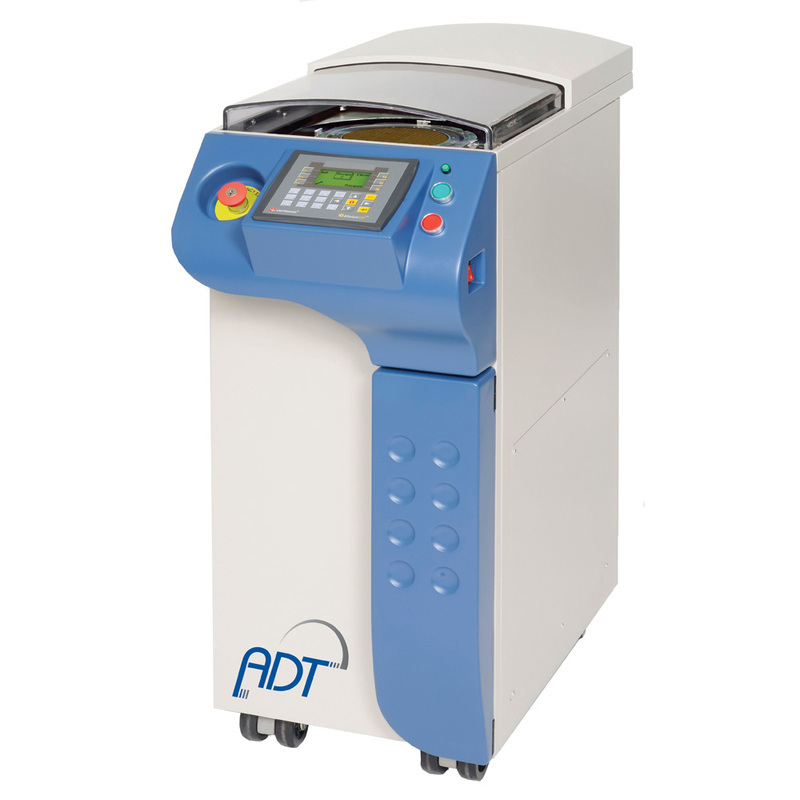 Our Peripheral Equipment includes Tape Curing, Wafer mounting, Wafer Cleaning, Spindle Chillers, Resistivity Controls, Water Controls, Flanges and Dressing Boards. The ADT 8020 Dicing Saw has two facing spindles that can simultaneously dice wafers at high throughput. ADT 8020 is a high accuracy system that can dice workpieces of up to 8-inch in diameter, at high performances and low cost of operation. Flexibility - Supports Hub and Hubless blades up to 3" O.D. 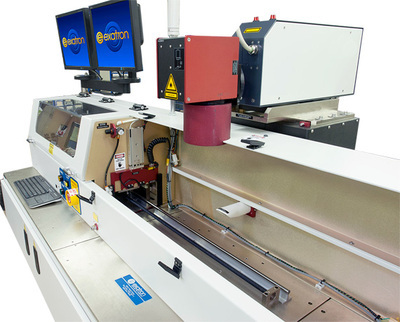 Exatron offers a complete line of automated handling, testing, programming, and laser marking equipment for the packaged integrated circuit industry. Device Handlers, Tape and Reel, MEMS Handlers, Laser Markers, Contactors and Pick and Place for device testing. 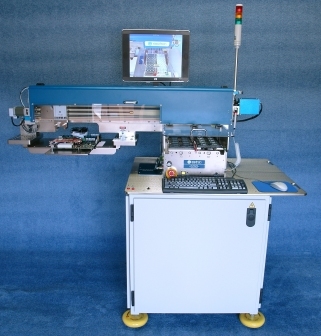 Infotech Automation - Robotic Platforms and Automation Solutions including: Micro Dispense, Assembly, Sort, Package, Inspection, Test, Repair, Solder, Weld, Sealing, Micro Paint, Eutectic Bond , Jet Dispense and Power Module assembly. Separation Technologists, Inc.​ specializes in recycling and separation system design. With over 50 years of combined engineering experience, they design the most appropriate, effective, and efficient wastewater recycling system or chemical separation system to meet your needs, including: closed-loop recycling systems, water reuse systems, chemical recycling systems and zero-discharge systems. 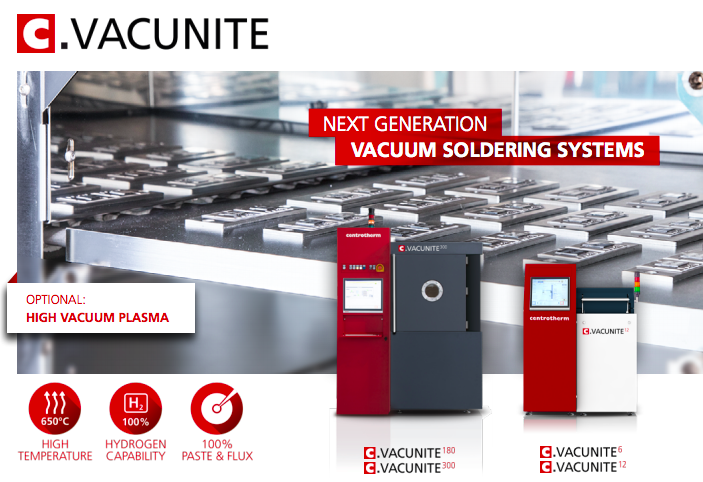 The centrotherm Vacunite system platform covers a wide range of vacuum soldering applications from process performance-based R&D processing up to high-volume production. The systems meet highest requirements of voidless soldering for Advanced Packaging and Power Semiconductor applications. The void-affected area can be reduced to less than 1% whereas common reflow soldering systems range at 20%. 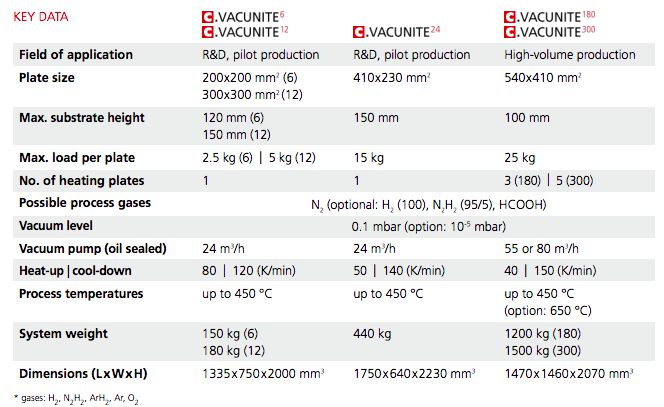 Depending on the field of application Vacunite systems are available with single and multiple heating plates ensuring both, fast heat-up and cool-down rates for short cycle times and large processed area per hour while achieving temperatures up to 650 °C. The process control computer is equipped with a user- friendly touch screen for operating, process profile editing and recipe storing. Accessibility through Ethernet and USB interfaces allows connection with printers, external storage devices and remote access.